I was saddened today to hear of the death of Earl Scruggs, banjo innovator, at age 88. He was a great inspiration to me and countless others who enjoy the dulcet tones of the 5 string banjo. I grew up in Edmonton, Alberta, Canada. You wouldn’t think there was any banjo that close to the northern tree line line, but there was. 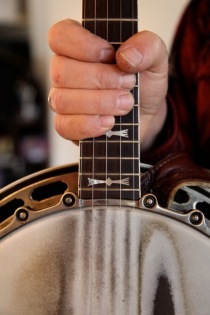 I was first exposed to the banjo through my uncle Bill Korth who played the 4 string banjo, not with 3 fingers like Earl did, but with a regular guitar pick. He played in an older western swing dance-band style. It was fascinating to watch him play because he had lost half of his index finger on his fretting hand, the one you use to make chords on the neck with. When he was about 5, he wanted to see how a cream separator worked, so he put his finger in it and found out it doubled as a finger separator. Even with that handicap, he was still a wonderful player. My next exposure to the banjo was the TV show The Beverly Hillbillies. The banjo in the theme song was a completely different sound to my uncle Bill’s style. I enjoyed the song, but thought little more of the banjo. One day when I was 12, my mother, Pat, was looking through the phone book and found a store called the House of Banjo. It’s still the same family owned business, renamed Myhres Music. The House of Banjo; a great home to live in if you love the banjo, or a living Hell if you don’t. It was the start of grade 6 and I came home from school one afternoon. 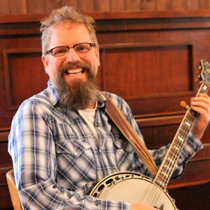 My mom, who loved the sound of the banjo, asked if I thought I might like to take banjo lessons. I said ” Uh, ok” and off we went. At the store Don Evoy asked which kind of banjo I wanted to play, a 4 or a 5 string. I didn’t even know there was a 5 string so he played both for us. He demonstrated the 4 string first. He used a guitar pick and played some really loud, fast dixieland music and I recoiled in horror. Then he fingerpicked the 5 string and played a song called Cripple Creek. That was it. I recognized the sound from the Beverly Hillbillies and I was smitten. We rented from him an old Harmony plastic, well probably Bakelite, banjo and I took my first lesson. I went home and was so excited that I fell asleep with the banjo on my stomach. I still feel the same way about the banjo, almost 40 years later. 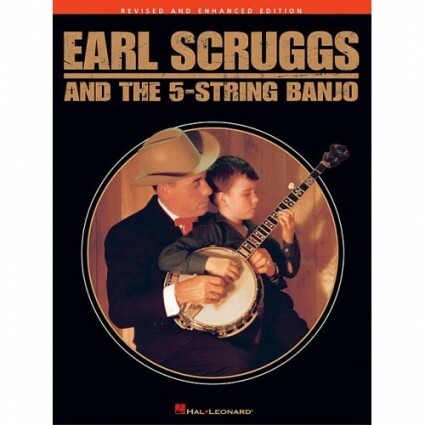 I first learned from the great book, Earl Scruggs and the 5 String Banjo. I always wished that was me on Earl’s lap. I also got a copy of a record called “Flatt and Scruggs at Carnegie Hall” and learned a lot by slowing it down on the record player. It was hard, but a great thing for training your ear. 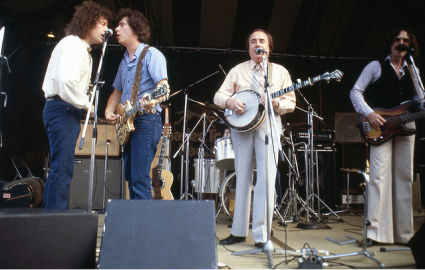 When I was 14, The Earl Scruggs Review band came to town. My mom and dad took me to see them. I expected to see something similar to Flatt and Scruggs bluegrass band, but it was closer to Led Zeplin. Earl was in a loud rock band with his sons. I didn’t like it, but just to be in the same room as Earl was amazing to me. In 1993 I was staying with someone in Nashville, TN who was a printer and was showing me his portfolio. 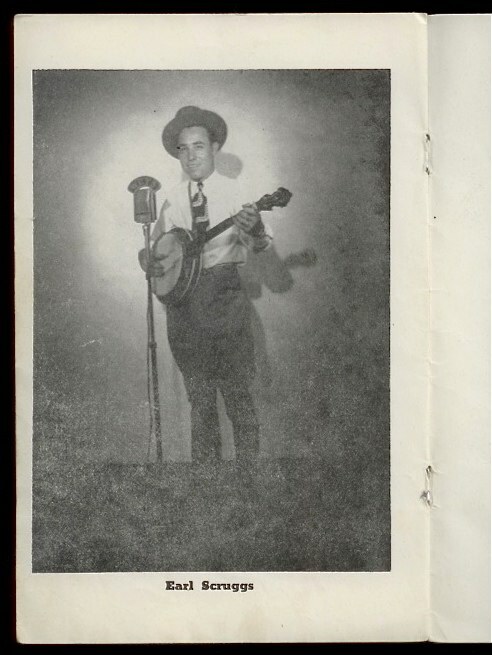 In his portfolio book there was a business card that said “Earl Scruggs, Banjo Player”. I said “Did you get this from Earl?” He told me he printed it for him and was going the next day to his house to take another printing order and wondered if I would like to come along. Ho man, did I ever! We went to Earl’s house in Hendersonville, basically a suburb of Nashville, and as we walked up to Earl’s house, there he was, standing at the screen door, waiting for us. He opened the door and said “Hi, I’m Earl Scruggs” and I thought “Holy moly, you really are”. We went into his living room and I sat on his couch, below a great painting of him and Lester Flatt. I asked him about it and he said it was painted by Thomas Allen for an article of him and Lester Flatt for Esquire magazine in 1959. 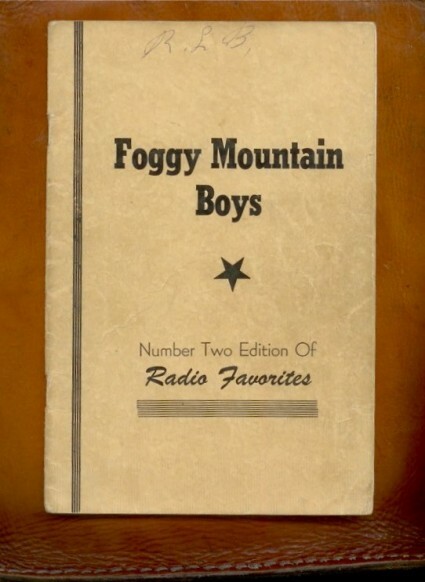 It was later used as the cover for their album “Foggy Mountain Banjo”. He was incredibly gracious and told some great stories. I asked him to sign my banjo while I was there. 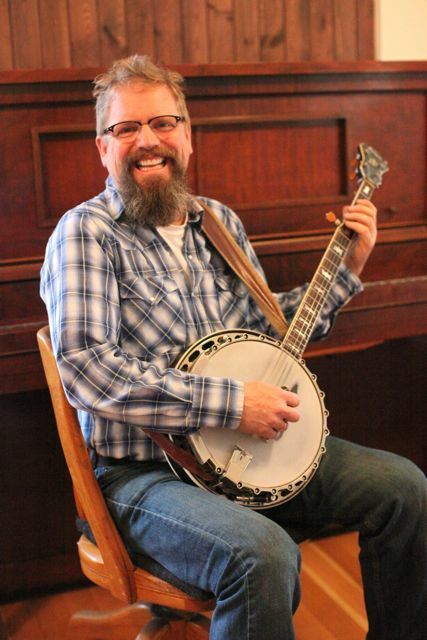 I have Gibson Mastertone banjo that was made by Gibson at their custom shop in Nashville in 1987 for a trade show. 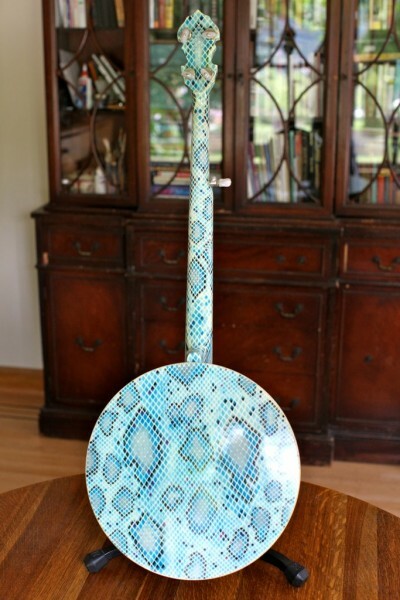 It is an Earl Scruggs model that they painted by hand to look like it was covered in blue snakeskin. It’s the only one they made like this and it has a terrific sound. Doesn’t look dangerous from the front. Neither does a pitbull. Well, maybe a pitbull does. It wasn’t big snake. it was just a heavy truck. 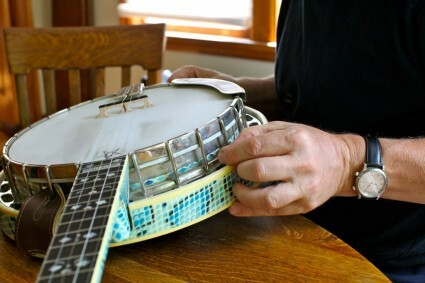 Taking the bowl thingy off the banjo. I waited my whole life for this. Earl looked up at Louise over the rim of his glasses and said in a very deadpan voice,”Black and white cows.” She shot him a look that would have killed a black and white cow. This is one of my most cherished photos. From that day as I left Earl and Louises home, with my new book. I’m shocked at how young we both looked and how we dressed the same. What a day. 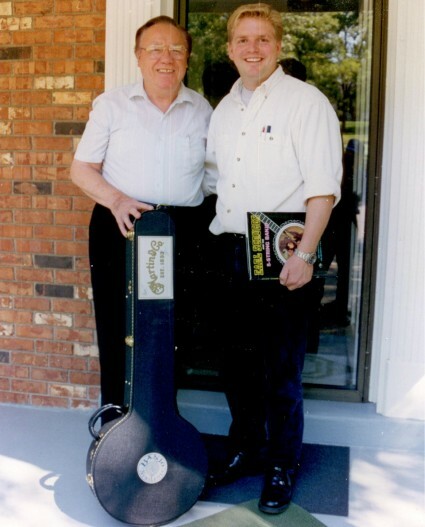 Earl Scruggs and me outside Earl’s home on a most glorious day. I have always been a huge fan of Flatt and Scruggs and have kept my eye out for anything of interest related to them. Here is a very rare book from 1948 that I stumbled upon. 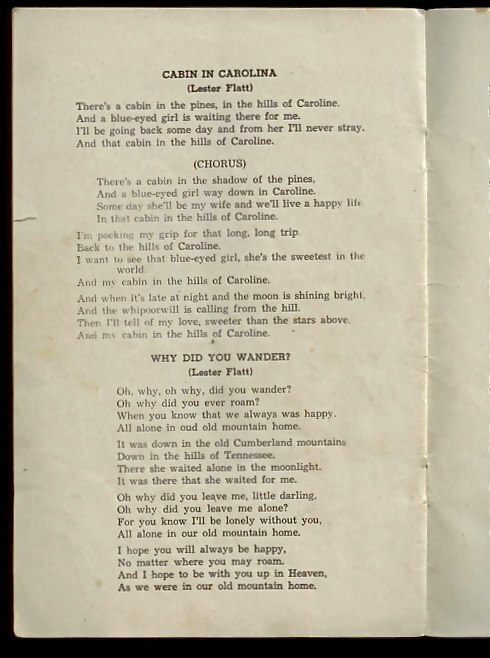 It is from the very beginnings of their band right after they left Bill Monroe and the Bluegrass Boys band. I think it is interesting that it doesn’t have Lester or Earl’s name in the band title, which the band name later did. Here is the inside cover. It talks about how they had decided to start their own band and how Earl had just married in April which definitely puts it in 1948. In it they say “Early last spring we decided to organize an outfit of our own. It was like going into a dark room to find a light.” I’m sure it was difficult to leave a band as popular as Bill Monroe’s and start out on your own. Here is a rare picture of Earl wearing jodhpur riding pants. Earl and Lester still had a heavy influence at this time from Bill Monroe who also wore jodhpur riding pants in his band. 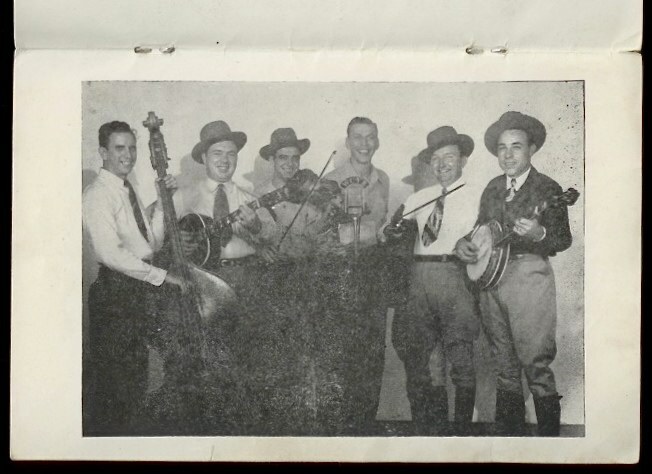 This is a wonderful picture of the new band, wearing riding boots and pants, which they would soon stop wearing to separate them from Bill Monroe’s image. Mac Wiseman is pictured here holding the guitar. 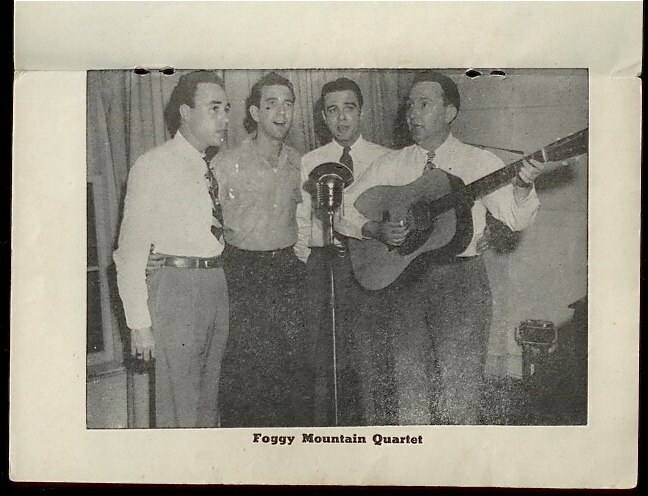 The Foggy Mountain Quartet, probably singing a spiritual number. This book is also a songbook. Here is a couple of numbers written by the prolific Lester Flatt. 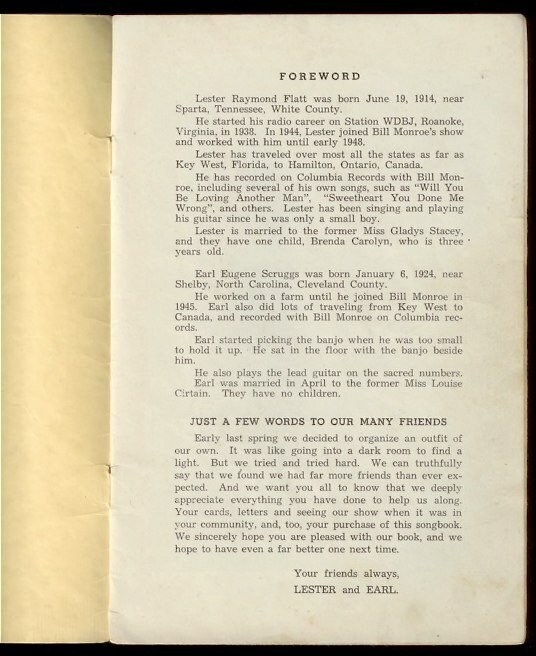 There are a number of songs in this book that Lester and Earl performed with Monroe, and would soon drop from their song list. In 2009 I was in a Calgary based band called Widow Maker, and we were asked to open for the Earl Scruggs, Family and Friends band. We were the opening act in Calgary and Edmonton, Alberta. It was a real honor to be asked to do this and I was able to sit with Earl and have a nice chat. He was a lovely man, kind of shy, but very easy to talk to once the conversation started. He loved to talk about flying and he even had his pilot license. I feel that world is a much better place because of Earl Scruggs and my life is definitely better because of his influence. I doubt I ever would have played the banjo if it wasn’t for him. I wish him well on his new journey. I hope we’ll get to pick a tune together on the other side. What a wonderful tribute to an amazing man. Craig, Awesome article. I share your enthusiasm for the banjo and Earl Scruggs. I am a big fan of your music and miss you dearly on the “Fire on the Mountain” show on CKUA. If you ever should happen to want to sell your snakeskin banjo, please let me know – however it is hard to imagine that could ever happen. Maybe I could play it sometime??? 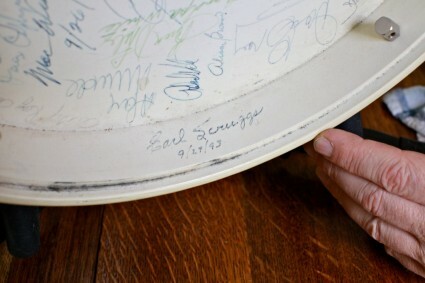 Thanks for this beautiful tribute to Earl Scruggs. I shared it on my Facebook Page. Great pics of Scruggs,it was an important part of north American history. 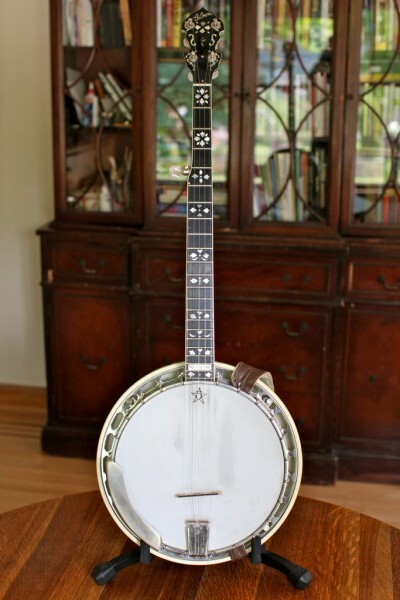 I like your rare banjo. I bought a Vega st5 in the early 60’s, gold plated with Earls original tuners on it. What a banjo..much louder than the Gibson, and with an alteration to the tone ring it is as good as any Deering banjo I have tried. WOW…I found this site when I googled the House of Banjo. I had taught myself the 5-string at 15. 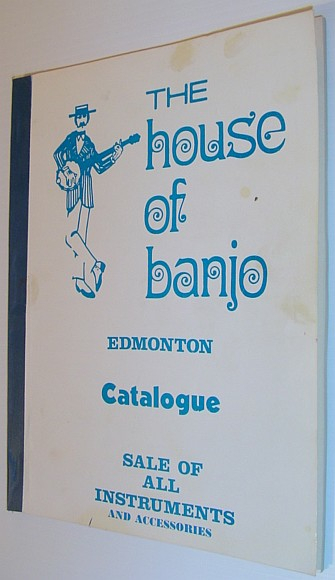 When my family moved to Edmonton, I too found that wonderful place called the House of Banjo in 1974. Earnie Nelson took me under his wing and I couldn’t get enough. I started teaching the 5-string there and Stacy (Don’s daughter)and I were best friends. I had a HOB 5-string, and it was the sweetest thing to play, (lost it in my divorce) Thank you for this post and a trip down memory lane.